Amnesty International (AI) bashed Colombia’s authorities on Monday over their “silent complicity” in the increased violence against social leaders and human rights defenders. The international human rights group is the latest international body that expresses its concern over the wholesale killing of local leaders that has spiked during a peace process with demobilized FARC rebels. 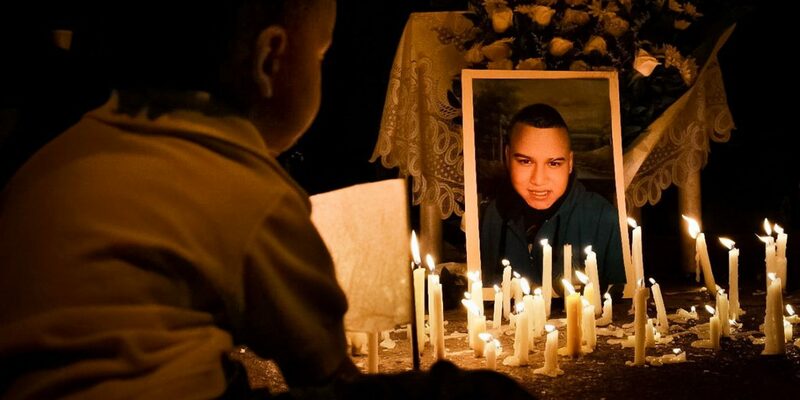 “Colombia faces a grave human rights crisis as a result of repeated targeted killings of human rights defenders, while the authorities look on unperturbed,” AI said on its website. The main force behind the murders is a collection of paramilitary groups that have violently regained prominence after the demobilization of paramilitary umbrella organization AUC between 2003 and 2006. The killing of those who defend human rights is causing renewed suffering in the country and destroying the social fabric of communities that have historically borne the brunt of the armed conflict and are now at greater risk due to the resurgence of paramilitary groups. “The slow implementation of the Peace Agreement in the areas worst affected by the armed conflict and the absence of the state enables armed actors to coopt territories and keep killing human rights defenders with impunity,” according to AI Americas director Erika Guevara-Rosas. Social leaders have long been a target of both guerrillas, paramilitaries and the security forces, but the violence that targets them “is now widespread and constitutes a massive human rights violation,” the AI official said. The minimal efforts of Colombian authorities at all levels to provide information, condemn these events and take urgent measures of prevention and protection is deeply worrying. The armed conflict is intensifying before the inert gaze of the outgoing government and the silent complicity of the government-elect. President-elect Ivan Duque last week condemned the violence for the first time, but failed to announce concrete action to protect the leaders or prosecute those who order their deaths. The outgoing government of President Juan Manuel Santos has come under fire after the security forces’ failure to impose the rule of law in areas abandoned by the FARC during a peace process and repeated attempts to minimize the gravity of the situation. According to a report that was released by think tank Indepaz last week, 123 leaders were assassinated by hitmen in the first six months of this year alone. The killing is putting a major strain on the country’s peace process that has virtually come to a halt because of state failures to execute the 2016 peace deal with the FARC and implement effective security measures in the countryside.